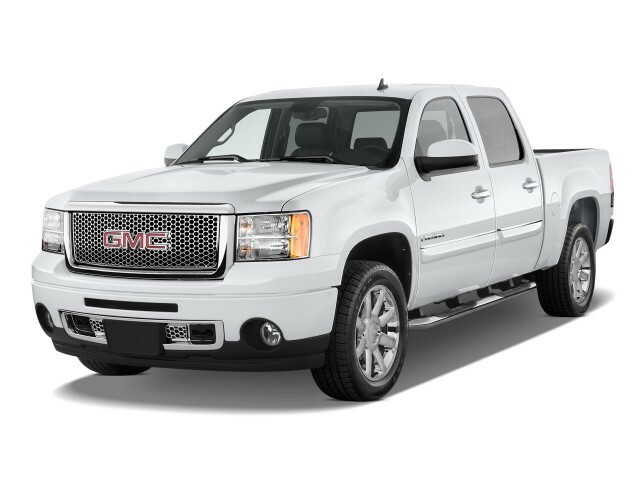 The GMC Sierra Denali is the top-of-the-line version of the GMC Sierra full-size pickup truck. The Denali option has been available on the Sierra since 2002, and was later expanded from just the 1500 light-duty pickups up into the Heavy Duty 2500 and 3500 versions. Sierra Denali trucks are generally distinguished by more powerful engines than base Sierra models and full-time four-wheel drive, along with distinctive front grilles and headlights to distinguish them from more pedestrian versions of the GMC Sierra. There have now been three generations of Sierra Denali pickup trucks. The first was the model that ran from 1999 through 2006, although the Denali trim was offered only on the related Yukon full-size sport-utility starting in 1999. Following the sales success of the pricier and more upscale Denali trim on the Yukon SUV, GMC decided to add it to the Sierra pickup truck for 2002. That first Sierra Denali ran for five model years through 2006 (and remained for an extra year as the "Classic" body style in 2007 as an all-new generation of pickups was rolled out). Based on the previous C3 high-end trim, it was launched in 2002 with a standard 325-horsepower 6.0-liter V-8 engine and four-speed automatic transmission, powering all four wheels through standard all-wheel drive. Towing capacity was rated at 9100 pounds. The first three years of Sierra Denali featured the four-wheel steering system known as Quadrasteer, which made the truck easier to maneuver and more stable. For 2005, engine power was boosted to 345 horsepower, the cab was changed to a crew cab with a shorter bed, and the Quadrasteer was dropped. The second generation of GMC Sierra Denali was introduced in 2007, and ran through the 2013 model year. The standard engine became a 403-hp 6.2-liter V-8 producting 417 lb-ft of torque, mated to a new six-speed automatic transmission. 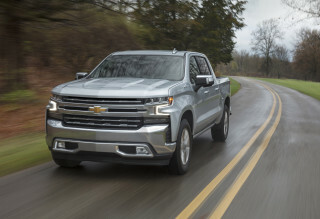 It was initially the sole half-ton pickup truck with that engine, and GMC quoted 0-to-60-mph acceleration of 6.3 seconds. The heavily chromed grille and front-end styling were made far more distinct on the Denali model in this generation, and many more luxury features were added, including a rear backup camera. 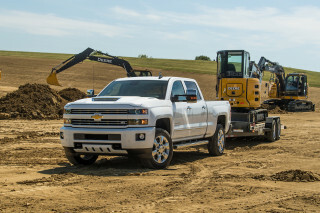 General Motors redesigned its large trucks again for the 2014 model year, and again the Sierra Denali represented the top-of-the-line GMC pickup. Fitted with a 355-hp 5.3-liter V-8 engine and six-speed automatic transmission, luxury features for this generation included standard heated and cooled leather seats, a heated steering wheel, power-adjustable pedals, a Bose surround-sound audio system, a rear vision camera, and 20-inch chrome wheels. The latest Sierra Denali comes with either rear-wheel or all-wheel drive, unlike its early predecessors. Front styling became even more distinctive, if possible, with a tall chromed grille flanked by smaller horizontal projector headlamps with LED lights. 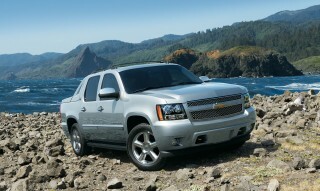 The first Denali trim level was launched on the GMC Yukon full-size sport-utility vehicle in 1999. As well as the Sierra pickup truck in 2002, it was added to the Envoy mid-size sport-utility from 2005 through 2009, then the Acadia large crossover utility in 2011, and the Terrain compact crossover in 2013. 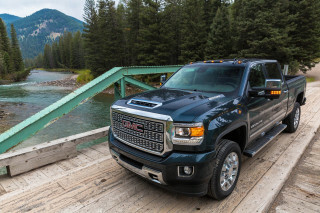 While all vehicle sale were hurt by the economic recession of 2008 through 2012, sales of the high-end Denali model continued to make up a major portion of GMC's trucks--leading the brand to roll it out on additional models.